As the official representative of the Cannes Lions International Festival of Creativity in the UAE, Motivate Val Morgan delivers the latest news from the desks of the Festival. 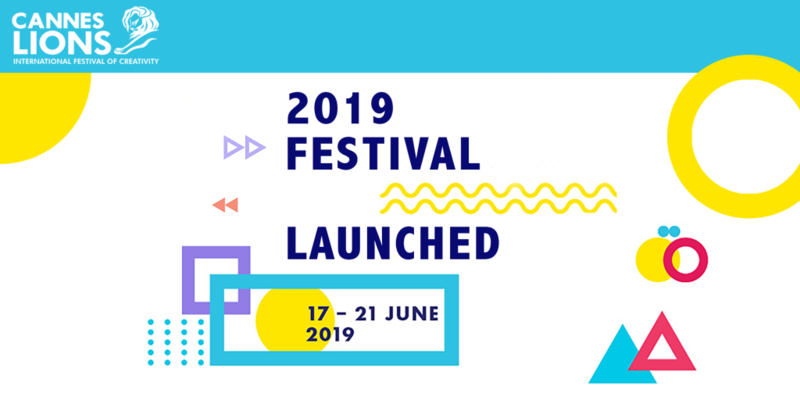 Cannes Lions International Festival of Creativity has officially launched its 2019 Festival – which will take place from 17th – 21st June, 2019 in Cannes, France. The five-day festival is the only global event and largest gathering for professionals working in creative communications, advertising, and related fields. Festival attendees – from nearly 100 countries, get to experience five days of workshops, exhibitions, screenings, master classes and high-profile seminars presented by renowned worldwide industry leaders. Introduced as part of the reshape in 2018, the tracks – Craft, Communication, Entertainment, Experience, Good, Health, Impact, Innovation and Reach – presented a new era for Cannes Lions. They reflect and represent the core disciplines that underpin and define the global branded communications industry. The nine tracks provide a structure that allow our community to better navigate the Cannes Lions Awards, talks, learning experiences and expanding digital platform and for the first time, Cannes Lions will appoint Track Ambassadors ahead of the 2019 Festival. Two new Lions Award categories will be added to the awards line-up in 2019. The Creative Strategy Lion will sit within the Reach Track and will celebrate the idea behind the idea, how strategic planning can redefine a brand, reinvent its business, and influence consumers or wider culture. And, complementing the Entertainment Track, The Entertainment Lion for Sport will celebrate creativity that leverages the galvanizing power of sports and eSports for brands. CLX is a new initiative for 2019, launched in partnership with MediaLink, where senior-level brands, agencies and media companies are invited to meet, learn from, experience, and do business with the most creative and innovative content creators – and entertainment experts – in the world. The initiative will bring eight of the world’s best content creators to Cannes Lions to host experiential programmes with educational content, roundtables, meetings and case studies. For the first two days, CLX will be invite only, restricted to senior level executives. On the third day, doors will open to all Cannes Lions attendees. *Cannes Lions also announced the retirement of its Product Design Lions category, which will be absorbed into the Design and Innovation Lions. *Delegate registration open, book your pass!